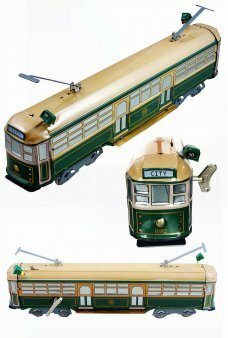 Our strechy rubber chicken is a small reproduction of the classic comic prop. The nicely detailed 8 inch long yellow and red chicken stretches to about 2 feet. The rubber chicken has been a comedy standard for almost 200 years. Our chicken makes a great gag gift, funny school incentive or lousy company bonus. 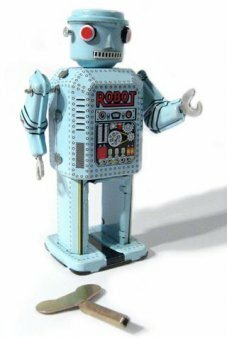 Red Eyes Robot is a nice reproduction of the famous Japanese original. 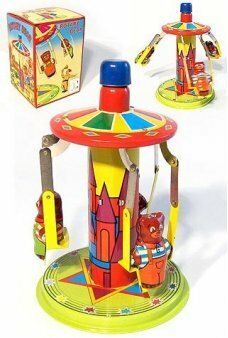 With a key wind he walks with..
Three cute bears in color overalls enjoy a spinning ride. 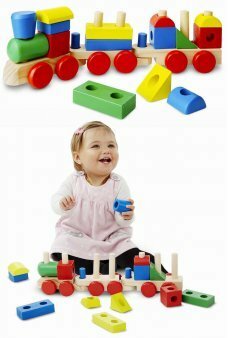 Just stroke the blue top of the tower to s..
Our brightly colored wooden stacking train is over 17 inch long and includes 18 colorful solid woode.. Play our classic pick up strategy game, Jack Straws! 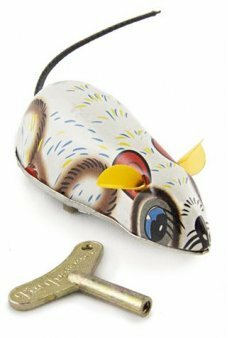 In this traditional British game you pick up th..
As seen in the toy shop in Scorsese’s wonderful 2011 film, Hugo - The classic white wind-up mouse ti.. 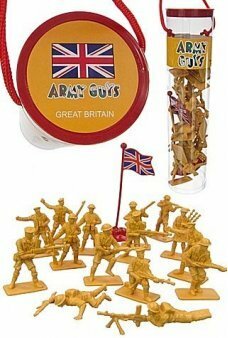 The cute penguins love to climb the tall stairs and then slide on their backs to the bottom of the c..
Our classic Army Playset includes assorted military action poses, a British Flag and a neat Army Guy..